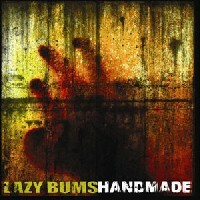 A spacy-dreamy piano passage with spoken vocals starts off the second album of the Lazy Bums from Italy. What follows is a good mix of 70s psychedelic rock a la Zeppelin, indie, grunge and stoner rock. Those who know the Von Hertzen Brothers from Finland will know about in what direction it goes and the voice of the singer reminds at times, especially with the quieter songs, of Editors singer Tom Smith. When listening to the record it becomes clear where the at first weirdly-appearing band name stems from because this music is for exactly those moments when you just can’t move your lazy bum (or booty) and simply want to chill on your sofa. However, the band doesn’t seem to be prepared for international fans because only those who are able to speak Italian can take a peek at the website of the guys. Otherwise the album is worth checking out.